This ginger ale offers a sweet citrus explosion with a slight and welcome bitterness. We’ve combined the essences of Blood Oranges and Meyer Lemons (thought to be a cross between a true lemon and a mandarin) with fresh ginger undertones. 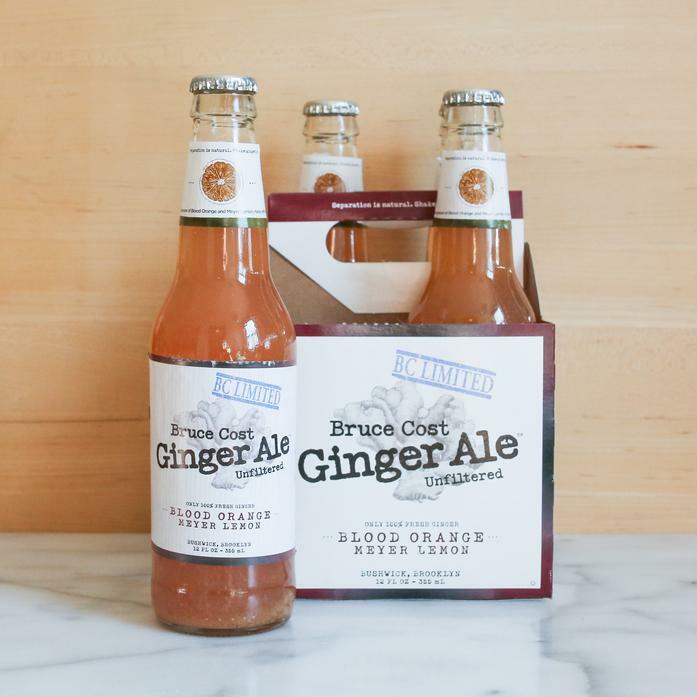 Ingredients: carbonated water, pure cane sugar, 100% fresh ginger, blood orange concentrate (blood orange juice concentrate, filtered water, natural orange flavor, fruit and vegetable juice for color, and citric acid), meyer lemon concentrate (filtered water, meyer lemon juice concentrate, natural lemon flavor).